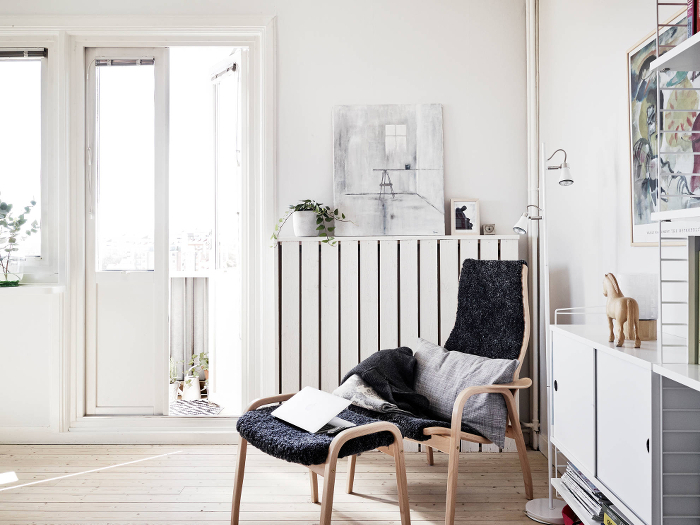 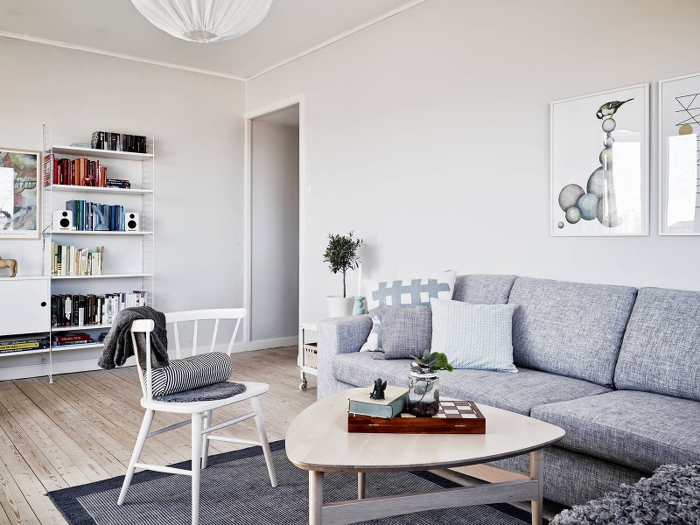 This beautiful Swedish apartment is decorated with a harmonious combination of grey and white, with a few soft pastel details. 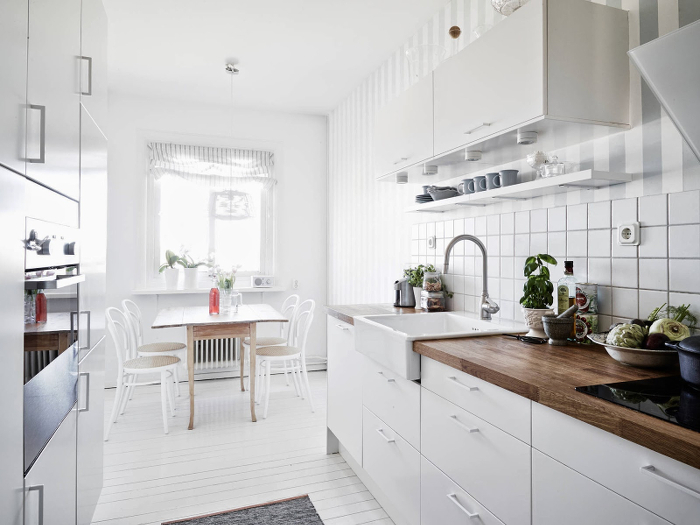 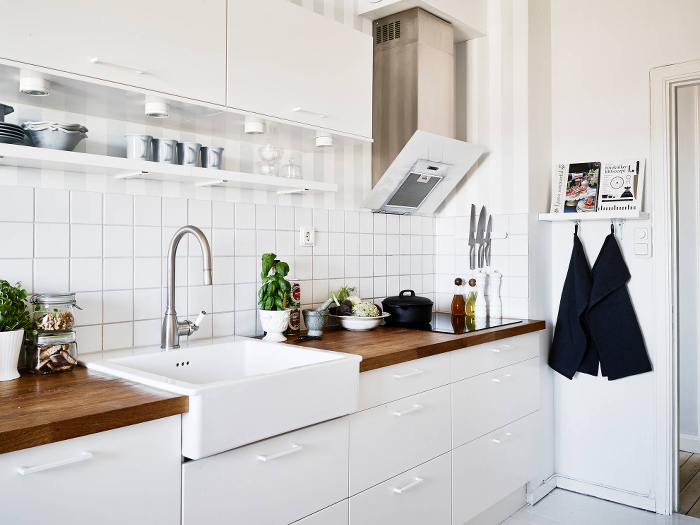 I love the light wooden floors (and the white one in the kitchen! 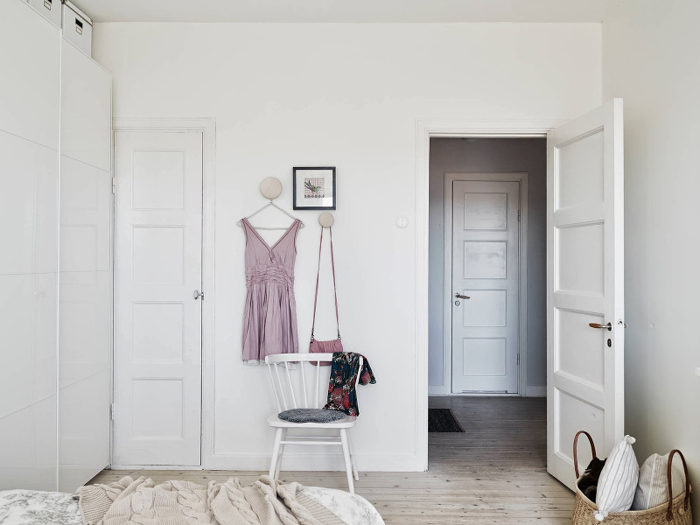 ), old doors and the airy feel the apartment has. 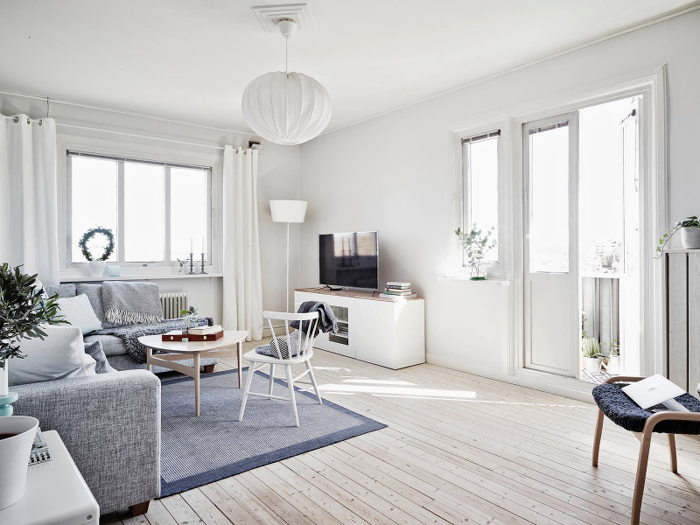 It looks cozy, calm and charming. 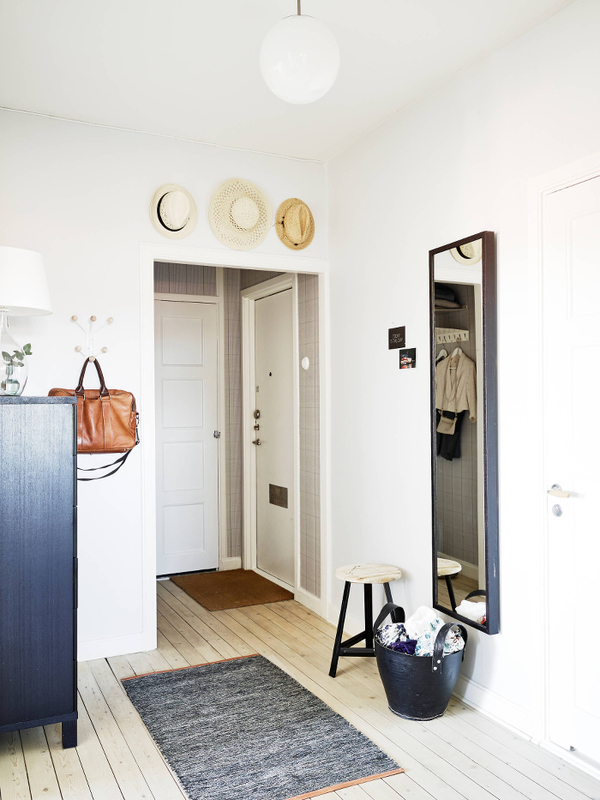 I imagine it would be a very nice place to live in!